The year is 92 B.C. Gordianus has just turned eighteen and is about to embark on the adventure of a lifetime: a far-flung journey to see the Seven Wonders of the World. Gordianus is not yet called "the Finder"—but at each of the Seven Wonders, the wide-eyed young Roman encounters a mystery to challenge the powers of deduction. Accompanying Gordianus on his travels is his tutor, Antipater of Sidon, the world's most celebrated poet. But there is more to the apparently harmless old poet than meets the eye. Before they leave home, Antipater fakes his own death and travels under an assumed identity. Looming in the background are the first rumblings of a political upheaval that will shake the entire Roman world. 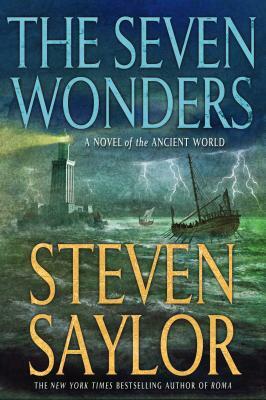 The Seven Wonders is a Novel of Ancient Rome by Steven Saylor.